SaudiGulf is commencing its three flights in a week Sialkot-Dammam and Dammam-Sialkot on 19 October 2018 with A320-200 Aircraft. 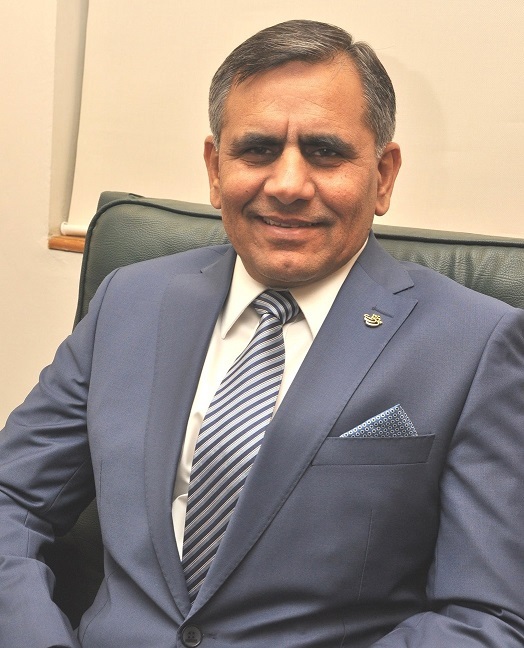 SIALKOT, July : - The newly elected Chairman of Sialkot International Airport Limited (SIAL) Nadeem Anwar Qureshi and Vice Chairman Haseeb Ahmed Bhatti, assumed the charge of their offices during a simple but dignified ceremony held at SIAL Secretariat . SIAL's outgoing Chairman Khawar Anwar Khawaja and Vice Muhammad Suhail Asghar handed over the charge to the newly elected office bearers. Azkar Ul Haq, CEO of SIAL, SIAL's former Founder Chairmen Mian Muhammad Riaz,Sheikh Riaz Ahmed, Ghulam Mustafa Chaudhary, Muhammad Naeem Akhtar,former VC Haji Aftab Barlas and former Chairman and Vice Chairman,Director SIAL and SIAL staff also attended this ceremony. On this occasion, the participants highly appreciated the meritorious services of SIAL's outgoing Chairman Khawar Anwar Khawaja and Vice Chairman Muhammad Suhail Asghar for the development and success of Sialkot international Airport. Addressing the participants, the newly elected Chairman Nadeem Anwar Qureshi vowed to make all out efforts for further development of this unique enterprise, the first of its kind in the private sector. We are pleased to announce the implementation of SITA AirportConnect (CUPPS/CUTE) and Baggage Reconciliation System(BRS) for the Passenger Check-in and Reconciliation of Baggage on advance and state of the art equipment.